Have you heard of Omatsuri? Omatsuri(お祭り) is a Japanese festival usually held in summer. 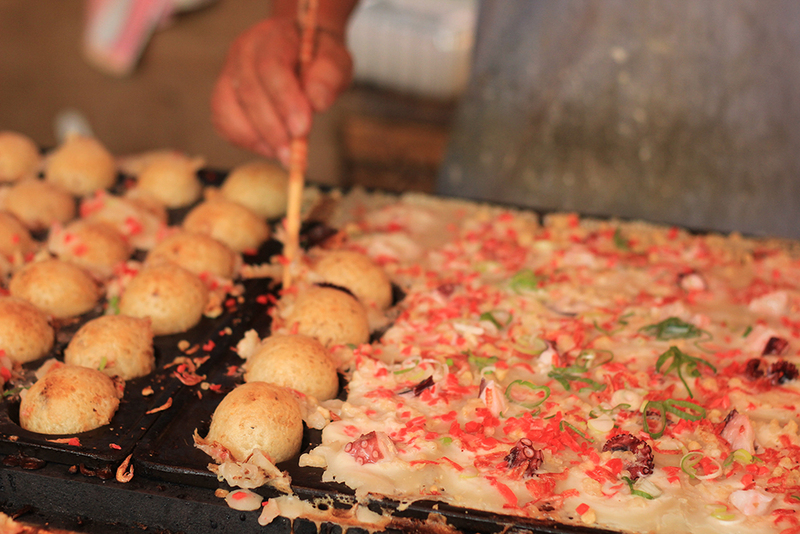 In omatsuri, there will be a lot of food stall with street foods. People wear yukata, walk down the street to eat, eat, and eat! 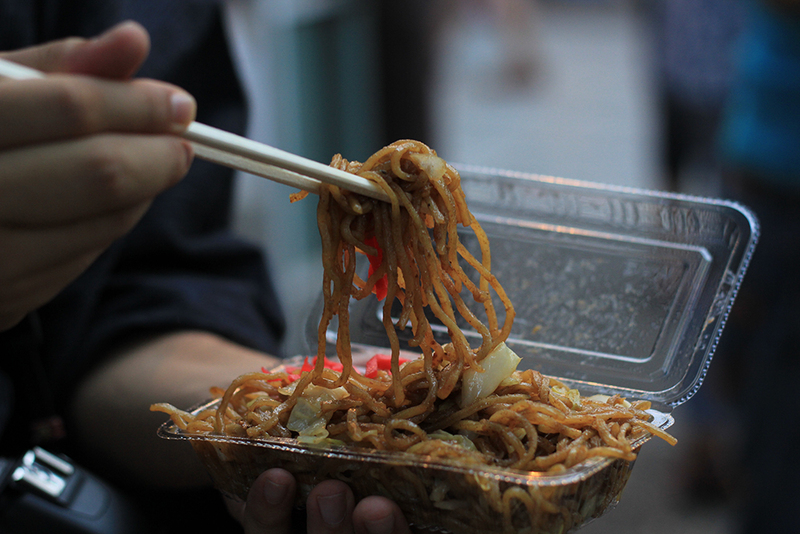 I will introduce 5 typical street food that you can find & enjoy in omatsuri. Grab a beer and let’s walk down the street! 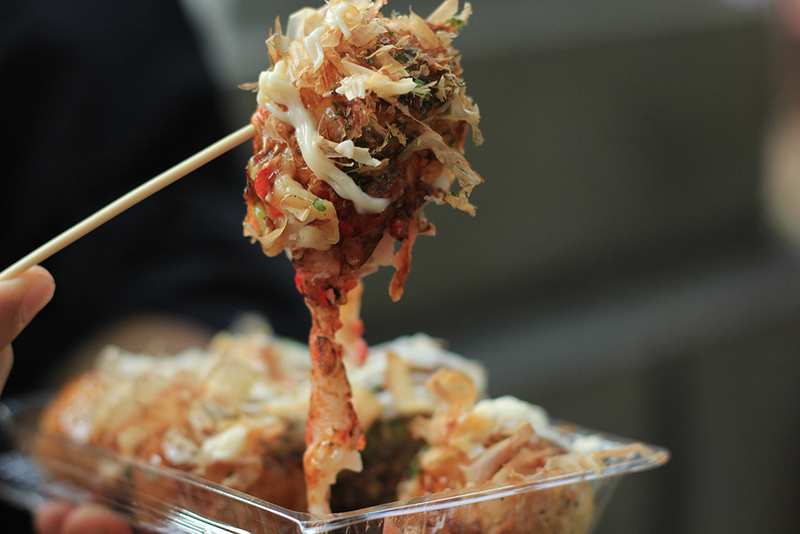 Takoyaki is a ball shaped Japanese style octopus flitters. 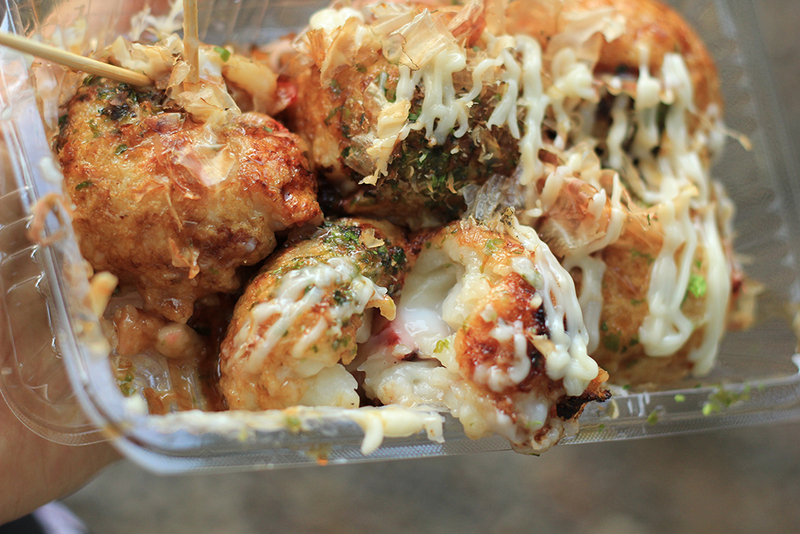 On top, there are salty & sweet takoyaki sauce, mayo, and katsuobushi (dried bonito). Inside you can see a piece of octopus. 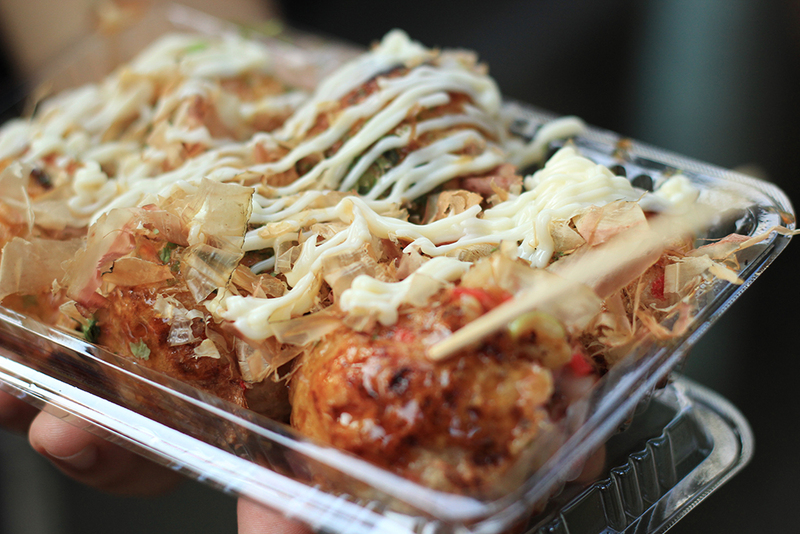 Takoyaki is made using a special iron plate with ball shapes. It’s usually served extremely hot, so be careful when you eat it. 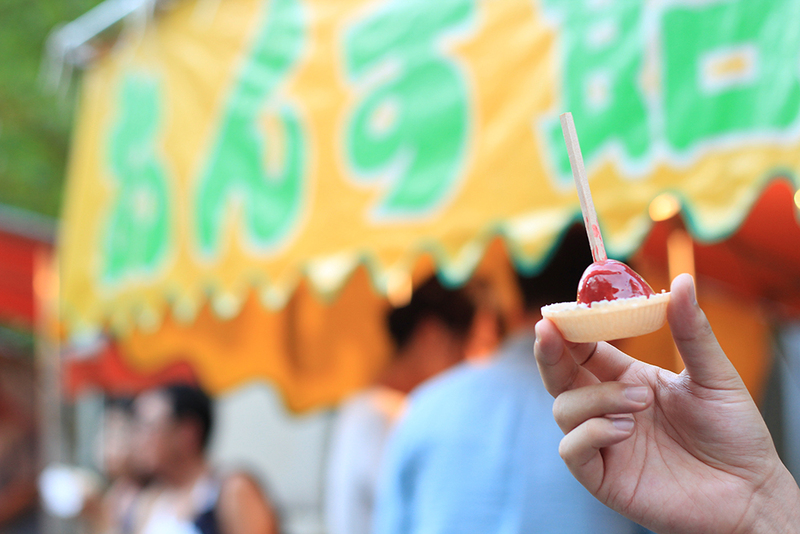 You can find many kinds of desserts in omatsuri food stalls. Typical one is Chocolate Banana. 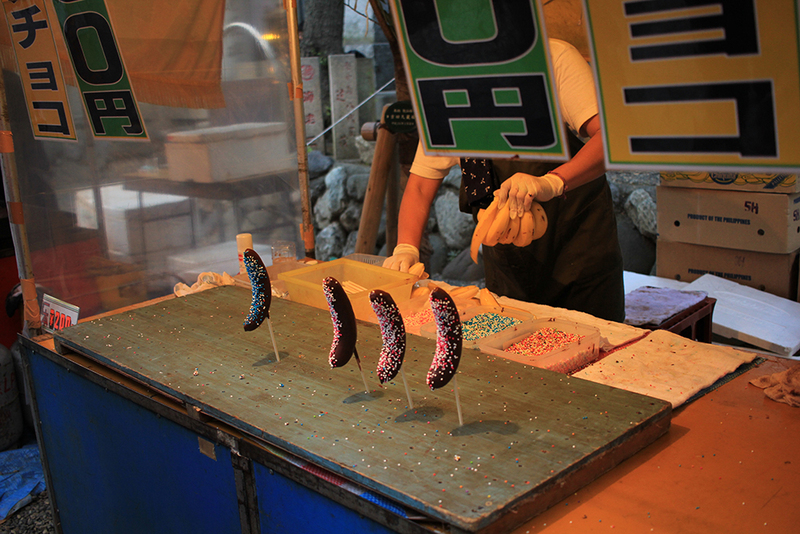 Not really a Japanese food but sometimes you can find chocolate bananas with unique decoration. Very kawaii heart shaped chocolate bananas! Anzu-ame is an apricot glazed with syrup called mizu-ame (水飴 ). It is usually pierced with a piece of chopstick and served with a piece of monaka to avoid syrup fall down when it melts. Outside with the syrup it is sweet, and apricot, which is marinated with vinegar, being sour, it is a perfect dessert not being too sweet. I personally enjoyed Anzu-ame the most on the day I went to omatsuri this year. By this time, you must be so hot and sweating by walking down the street in summer Japan. 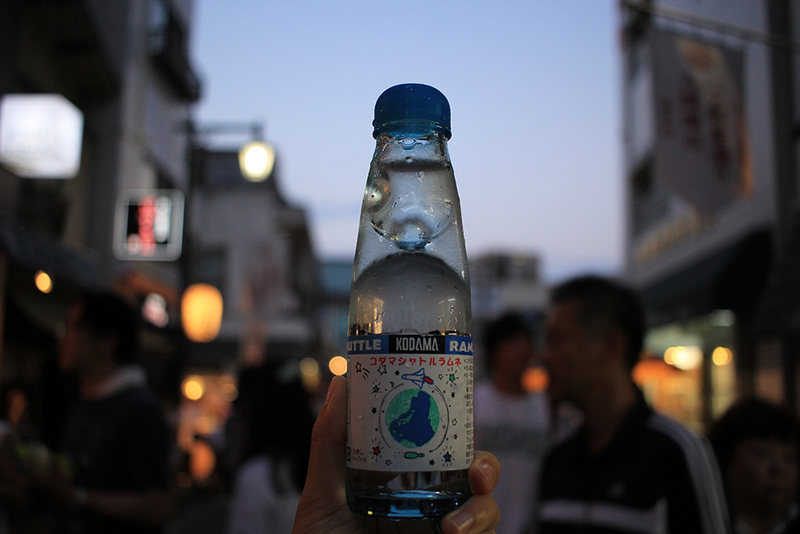 Have a drink called Ramune, a Japanese soda. It usually comes in a cute glass bottle. Slightly sweet taste soda is perfect for hot and humid day. How did you like? 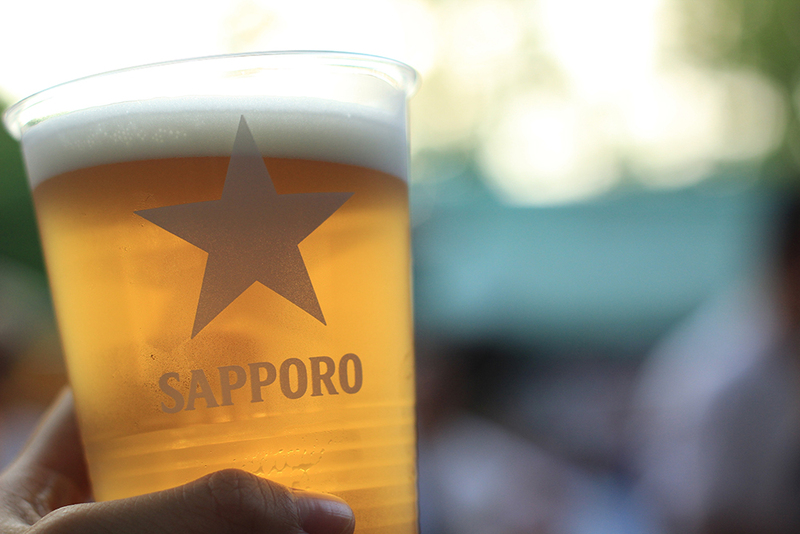 Try one of these when you go to omatsuri! 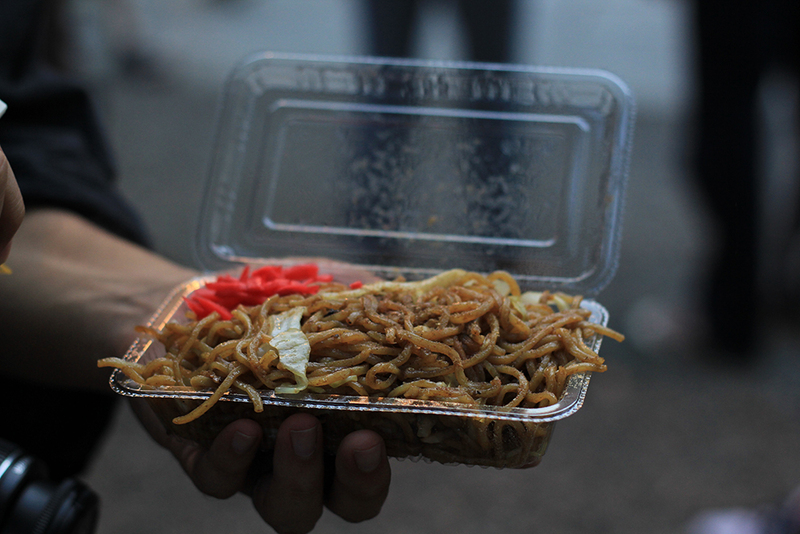 All photos are eaten at Fukagawa Hachiman Matsuri 2015.